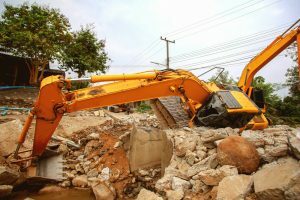 WHAT DOES CONTRACTORS EQUIPMENT INSURANCE COVER? Underwritten by ZURICH, this valuable protection insures against loss of, or damage to such things as bulldozers, power shovels, loaders, graders, backhoes, forklifts, pavers, cranes, compressors, pumps…even hand tools. Numerous other items that are mobile, or portable may also be covered. WHO NEEDS CONTRACTORS EQUIPMENT COVERAGE? If you own, lease or rent equipment, you should consider this important protection. Equipment leasing and rental companies may offer their own coverage as part of their agreements, but such coverage probably isn’t tailored to your needs. WHAT ARE THE FEATURES OF CONTRACTORS EQUIPMENT COVERAGE I SHOULD KNOW? Up to $500,000 in values per item available. Up to $10 million in total values. Replacement cost and actual cash valuation are provided on the same policy and determined by the age of the equipment. We help you recover from theft, vandalism, fire, windstorm and other risks. BECAUSE WE THINK ABOUT WHAT COULD GO WRONG, OUR CUSTOMERS CAN FOCUS ON WHAT GOES RIGHT.